Since the death of Paul Kantner I have played this album each time I cooked dinner for a few weeks. Played it loud and singing along as I know whole sections by heart in ways that I never seem to do with newer albums. Don't ask me why, but that is the way of things when one gets older in my experience. No matter how much I like 'Takes Off' and 'Surrealistic Pillow' when asked what is your favourite Jefferson Airplane album, there's only one answer: After Bathing At Baxter's. This album holds it all. (The cover obviously shows one star too less.) No matter how much the summer of love raged through San Francisco during the writing and recording of "Baxter's", this is a totally militant album. Whole parts rage, whole parts are totally experimental (another prove to point that record company execs didn't have a clue what was going on), but above all beauty rages in all corners of this album, although at times it is pretty much obfuscated. The jump between 'Surrealistic Pillow' and 'Baxter's' is so large. Gone are the romantic love songs of Marty Balin. It is Paul Kantner who takes the helm with his rock songs and Jorma Kaukonen who is without any leash on this album. He is allowed to go all out and solos all over the album, imprinting his signature sound to posterity. 'Somebody To Love' but then wilder, rougher, without compromise. The three lead vocalists reach great heights together (while Kaukonen leads on 'The Last Wall Of The Castle' as well). The voices of Grace Slick, Marty Balin and Paul Kantner were made for this album. They blend so well. Next to that all four are able to write a decisive song making the album even better. Like a true hippie collective they seem to enjoy giving each other a lead spot before disappearing into the collective again. Be it voice or instrument. "Baxter's' kicks off with the (all but) 'The Ballad Of You and Me and Pooneil'. The feedback at the very start signals disturbance, wildness and no compromise. The guitars sound rough and the singing goes towards shouting. Whatever the song is about, I do not really have a clue, just that the sky looks green today, so we must be on a trip. LSD probably as it's 1967. There are worries for the future: "Will the moon still hang in the sky, when I die"? And where does that armadillo come from? (On Spotify I found an 11 minutes plus version where the band goes all out in very forceful way. Where all this album stands for comes together.) This song is so powerful and through the feedback morphs into the musical trip called 'A Small Package Of Value Will Come To You'. The total weirdness, a jam of sound and instruments and lines of some sort of poetry. In its weirdness it has beauty and remember people: "No man is an island". Was signed Spencer Dryden and friends. Marty Balin soars to great heights with his 'Young Girl Sunday Blues'. Together with Paul Kantner he sings this beautiful pop-rock song. In which it is again Jorma Kaukonen's guitar that is all over the place. If I discount the great singing, it is the lead guitarist who captures the song and runs off with it. 'Baxter's' is subdivided into suites. Each has a few individual songs with it. We have moved into 'The War Is Over'. The Kantner ballad 'Martha' is one of the prettiest songs on the album. Kaukonen is still relentless though mixed into the background. It is the harmony vocals that make 'Martha' fly. Grace Slick and Marty Balin curl around Paul Kantner's voice or slide in from the far edges of the mix making the song as wide as possible. Kantner continues. The war may be over, the times are wild and disconcerting. 'Wild Tyme (H)' is one of the Airplane's best rockers. The way Slick and Kantner attack the lyric is just so great. "They're doing things that haven't got an name yet" and I believe them right away. Still, I can add. Nobody makes music like this any more. By this time it is fair to mention the backbone of this band. Just listen to what Jack Cassidy is doing on his bass. Like Jack Bruce Cassidy can go off into his own stratosphere with some great bass lines that add a whole different flavour to a song. Spencer Dryden lies down intricate drum patterns of an extremely lively nature that forces everyone in the band to keep time on his own. 'Last Wall Of The Castle', Kaukonen's song, is a great example of both. No matter that all the other fortes of Jefferson Airplane come forward here again. it is the backbone of the band that excels in 'Last Wall ...' in a great way. A very odd one out so far is Grace Slick's first contribution. It is the first of what I call the typical Grace Slick song of the time. Piano driven, mysterious, sort of classical. The lyrics are equally important. "I'd rather have my country die for me". Early Vietnam alright. Cassady plays an important role as do the classical instruments that play lead parts in turns. I can't find anything on who's playing here, beyond Slick playing a recorder, although Dryden is credited with "horn arrangement". 'Watch Her Ride' is another fine Kantner rocker. Where Slick does some fine harmonies, as does Balin more in the background of the mix. What becomes so evident is that Kantner has moved way beyond the folk oriented beginnings of the Airplane. This has made bassist Jack Cassidy and guitarist Jorma Kaukonen come alive totally. Cassidy plays a lead instrument here, firing off one bass run after the other, having nothing to do with the rhythm that is kept up frantically by Spencer Dryden. 'Watch Her Ride' slowly morphs into 'Spare Chaynge'. The long jam by Dryden, Cassidy and Kaukonen. Spacey, jazzy, a way out there sort of blues, but who listens more closely can imagine that certain parts of the jam could have been a foundation for many a Jefferson Airplane song. Listening to 'Spare Chaynge' for the first time in years, I notice how carefully the song is crafted. 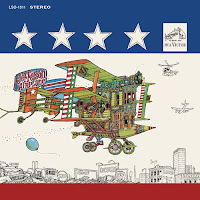 It takes me through different moods and in the end is the core of what Jefferson Airplane is in the second half of 1967. A harsh rocking band that has left the beauty of the summer of love far behind it. In this universe things have already turned quite nasty. I am also pretty certain that the three man have seen Cream perform. Grace Slick returns with her second contribution. 'Two Heads' rocks a little more than 'Rejoice', but is related. The dreamy sequences make the song druggy as does the medieval sounding keyboard that is used sparingly. The lyrics are just as druggy and a part of Slick's imagery of the times. The song intrigues as it mixes some eastern elements with typical Airplane rock elements and the LSD age. The fun all ends with the dreamy 'Won't You Try / Saturday Afternoon'. Another Kantner highlight on 'Baxter's'. It is the vocal that is strong. The instruments in some parts almost fall away, the song disintegrates instrumentally but certainly not vocally. That is one of the best in 'Baxter's'. The instrumental interlude proves my point in 'Spare Chaynge', that I appreciate so much more, I notice, than over 30 years ago. "Keep it going", Kantner says and the three go off together for a short while. 'Won't You Try / Saturday Afternoon' is a beautiful ending to a fantastic album. 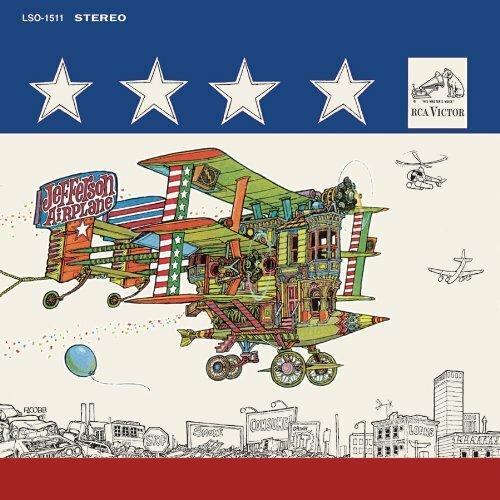 Jefferson Airplane and whatever followed it have never surpassed it. Not even close.